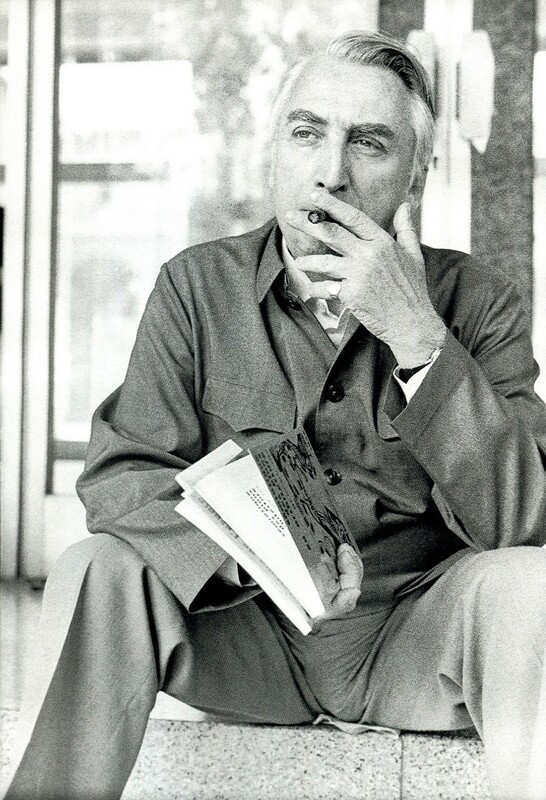 Roland Barthes, the French intellectual and semiotician, introduced three levels of mythic language: the denotative level, the connotative or symbolic level, and the ideological level. He believed that the development of mythology, where some particular thing that exists in a specific cultural context develops into something timeless and general, can also be found in pop culture and its products. He called this process of transformation “Mythicization”. By applying this perspective to one of the advertisements of Baedal Minjok, we can see that the brand strategy of Baedal Minjok can be laid out in Barthes’ three different levels of mythic language. Additionally, we will examine how the messages found in the advertisement supports the mythicization of the brand. Mythicization is very appealing to modern brands. As names like Nike and Hermes, or the Starbucks mermaid symbol show, brands are trying to build a strong association through storytelling or unique imagery in order to become a part of culture, rather than just a product. In the 1960s, Barthes also paid a special attention to advertisements and tried to decode their cultural meanings embedded in deeper level. In “Rhetoric of the image”, he deconstructed an advertisement into linguistic and iconic messages and then uncovered the symbolic meaning (connotative level) under the surface meaning (denotative level). While the fact that Barthes applied these two levels of mythology analysis to advertisements contributes deeply to our understanding of the pop culture, they are not enough when trying to understand the strategies of contemporary brands and their mythicization. Brands now communicate more diverse channels in a bigger and global market. In this highly competitive environment, one well- written ad copy or a famous good-looking model won’t guarantee the same level of cultural impact that Barthes may have witnessed in the past. The messages of brands these days try to permeate our culture in a deeper, more diverse way. That is where the ideological level, the final level that Barthes introduced in the language of mythicization, kicks in. Ideologies are “the belief system within people’s collective conscious” (Dobson “Mythology and Ideology”). The ideological messages in myths and fairytales have a pedagogical function as they pass values and old wisdom on to the listener. The ideological messages of brands help them to stay in people’s awareness and affect their attitudes toward a brand’s product. 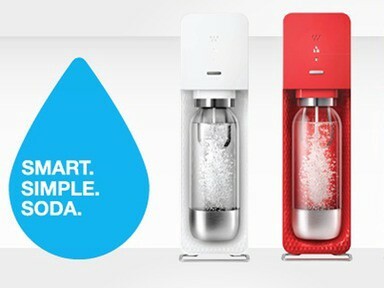 For example, seeing at the words “Innovative”, “Simple” or “Perfection” many people may instantly think of the brand Apple, and Coca-Cola will be associated with the words such as “Happiness” or “Fun”. In other words, successful brands in contemporary culture contain ideological messages and succeed in making strong associations with those messages in the cultural context. 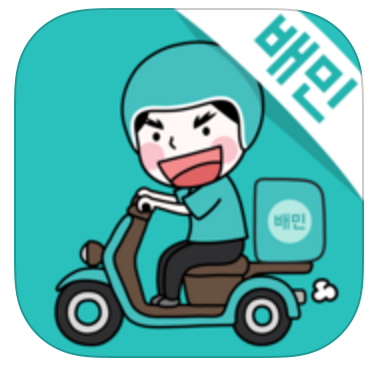 Korean’s most successful food delivery service, “배달의 민족 (Baedal Minjok, meaning the Nation of Delivery)” is often seen as a modern success story in the Korean business world due to its fast growth. Even though ordering food delivery from home, office, or even from parks or public outdoor places during any time of the day has been a big part of food culture in Korea for a long time, Baedal Minjok, was the first startup in Korea that came up with the idea of acting as a delivery service that connects customers and restaurants (like Grubhub or Seamless in the US) and now is regarded as a symbol of Korean food culture. One piece of evidence for the brand’s impact is the cultural phenomenon of other companies and individuals copying or parodying the brand’s imagery, visual style, and way of storytelling. What makes this brand even more worth investigating for our analysis is its global expansion. Despite of its strong base in localized service and the Korean culture, the company was invested by global investment companies such as Goldman Sachs and is actively expanding to the global market. Just like good stories can be shared and understood across borders and cultures and become a myth over time, brands, like a modern myth, can show us deep understanding of culture and human communications. The image above shows the advertisement that we will analyze. The linguistic messages shown in the ad are the ad copy: the phrase written in Korean on the left side, “우리가 어떤 민족 입니까” (What kind of nation are we?) and the brand name: the black colored letters written on the metal container, “배달의 민족” (Baedal Minjok — the Nation of Delivery). Baedal Minjok, the brand name, literally means the nation of delivery. By putting Baedal (Delivery) in the name, it intuitively informs people that the brand is related to a delivery service. If one tries to understand the deeper meaning and origin of the brand name, he or she reaches the connotative level, where contextual interpretation is involved. Putting the word “delivery” and “nation” together implies that the business is targeting the whole nation and it is fully dedicated to the delivery service. Originally, however, Baedal Minjok has been familiar to Korean people in a different meaning — the phrase is originally a colloquial expression for saying the “Korean people” in a sophisticated way (“Baedal” is also the name of the mythic founder of Korea, so Baedal Minjok can be read as Baedal’s Nation). By using a familiar expression as the brand name, the brand achieves not only a sense of humor but also a strong feeling of nationalism. 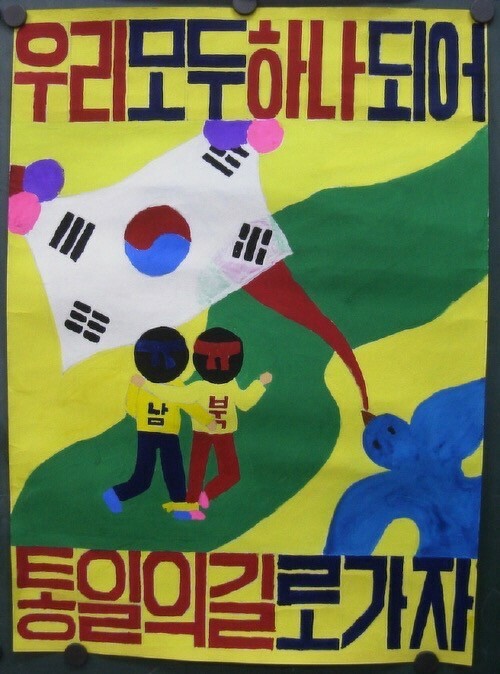 In Korean society, where a single race speaking one language has been regarded as a virtue for many decades, the sense of community and nationalism prevails in people’s collective conscious. This feeling of nationalism is what the brand embraces at the ideological level. The ad copy is a question that leads to an answer, the brand name. It may be seen as a simple format on the denotative level, but on the connotative level, this format puts the emphasis on the brand name and its dual meaning. Moreover, by using the subject ‘we’ and the concept of ‘nation’ in the phrase, it ideologically plays to the patriotism and the connectedness of the viewers. ➊ The scene represents a man riding a horse to deliver food to his customer. The background image is a parody work of a historical mural of Goguryeo Tombs, one of Korea’s UNESCO cultural heritage sites (see Figure 7). 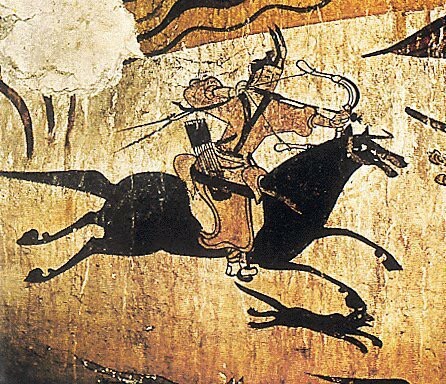 The original mural describes the hunting scene of the former ancient kingdom, Goguryeo, where people were known for skillful horse riding and hunting, bravery, and quick in action. This historical background is connected to the word “nation” shown in both linguistic elements mentioned earlier. This historical context of the brand name not only emphasizes its sincerity in achieving high quality of service in the connotative level, but also identifies the brand image with the agility and energy of the ancient culture, representing the ideological level. ➋ Comparing the Baedal Minjok advertisement and the Goguryeo’s mural art painting above, the biggest difference is what the rider is holding in his hands. The bow in Goguryeo culture symbolizes their agility and accuracy that were known for the hunting skills. The ad, through the parody process, replaced the bow to the metal food delivery container (see Figure 6). 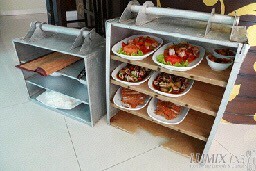 The metal food delivery container is considered as one of the most symbolic items in the Korean contemporary food culture. Just like a beer mug indicates beer, the color, shape and the size of the metal container in the image is an icon in Korean culture for the delivery food. By putting the brand name “Baedal Minjok” on this iconic metal container image, the ad not only clearly indicates the business type of the company (connotative level) but also symbolizes itself as a part of Korean food culture at the ideological level. ➌ The man who is playing the delivery horseman in this image is the Korean film actor, Seungyong Ryu. He is known for his charismatic and heroic character in many successful Korean films. Therefore, his presence in the ad connoted the message that his personal brand endorses Baedal Minjok. Given the fact that Baedal Minjok was from a small, new startup with comical advertisements, the juxtaposition of a serious actor in a comical pose added additional interest to the ad. ➍ The copy functions not only for the linguistic message but also for the iconic message due to its visual aspect: the font type. The font used in the copy, Hanna, was created for Baedal Minjok. Because of the high attention of the public, the company even shared the font publicly so that anybody could download and use it. The style is chiseled with square shapes but gives a fun impression as it accentuates curves in the letters. The unique look and feel of neatness but fun at the same time support the connoted message of the brand: we are new and fun but our business is reliable. At a deeper level, the font also contains a strong ideological message. Inspired by “the hand-drawing letters used in educational propaganda posters for children in Korean elementary schools” (Kim), the font type was designed to bring a prompt attention from the viewers, like a propaganda, but in a friendly way similar to the educational posters do for young kids (See Figure 7). Due to this motif, the overall advertisement resembles the traditional propaganda posters which encourage patriotism, ideal national characteristics, and community spirit. Even though these four main elements are “discontinuous and not linear” (Lanir), they are coherently tied to certain messages. On the connotative level, all the elements imply the idea that Baedal Minjok provides fast, accurate and friendly nation-wide food delivery service that can satisfy all the country. While this message can be interpreted as a marketing message for introducing the new business, the ideological level is closer to the collective conscious, especially tied to Korean culture. Each element — the historical motif of the overall image, the symbolic metal delivery food container, the nationally popular actor, and the unique font inspired by Korean education — is linked to the patriotism and the celebration of “Koreanness”. The coded messages discovered in this image of “What kind of Nation are We?” campaign are continuously reproduced in their further Baedal Minjok campaigns. For example, they released a series of print ads which only feature the actor, the font, and their witty copy (See Figure 8). Furthermore, applying another parody work in the movie poster format, the brand continues to use the font, the actor and the motif of artistic content (with the movie poster replacing the historical painting on the artistic vehicle). These variations are diverse in format and channels but consistent in messages. In other words, for the brand the ad we analyzed in this paper and its messages became a new doxa, “the rules and regulations of a culture,” (Dobson “Fairytales: From History to Theory.”) and mythicize the brand by applying the their own doxa to their further communications. With the elaborately executed brand strategy demonstrated in the advertisement we analyzed, Baedal Minjok could be in Korean people’s awareness not only as a high quality food delivery service brand but also as a symbol of Korean food culture that celebrates Koreanness. As a result, Korean people think of Baedal Minjok when they see the words like “national” “connectedness” or “love for Korea” — even though it’s not a national enterprise. When a brand can be remembered in a cultural context beyond its product and its usage, it is mythicized and passes the ideology on to the next generation as a modern myth. Dobson, John “Fairytales: From History to Theory.” Mythology for the Modern World. Academy of Art University. San Francisco, CA.16 July 2015. Lecture. Dobson, John “Mythology and Ideology.” Mythology for the Modern World. Academy of Art University. San Francisco, CA. 20 July 2015. Lecture. Kim, Bongjin. “배달의민족 빼닮은 무료 한글 글꼴 ‘한나체’.” Bloter.net. Bloter and Media, 15 Mar. 2013. Web. 2 Aug. 2015. Lanir, Lesley. “Images and Image Rhetoric Per Roland Barthes: Semiotics at Play.” Web log post. Decoded Science. Decoded Science, 10 Dec. 2012. Web. 03 Aug. 2015.